First step to succeed in English section is to kill the Fear of English. I personally call is Englobia (English Phobia). Be bold enough to face English, Ride on English. English is just a language like Telugu, Tamil, Kannada…..
Have you ever thought that instead of English in the exam if TAMIL is made mandatory for all …!!!!??? Don’t get panic it will never happen. My intention is, Till today there is no language in the world which is comfortable for all the people. 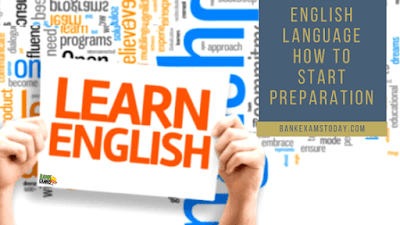 Come out of Englobia and start learning it. Divide English into three parts. Preparation for these three should be done parallel. Let us discuss in detail regarding these…. Most of the aspirants think this as tough section and leave this in the exam. But the thing is this is the easiest and somewhat predictable in the exam. Increasing WPM –Words per minute is the main task. Start with story reading so that one gets familiar with reading. Also first let us understand what is meant by Reading Comprehension. Comprehension is nothing but understanding the given content. So reading comprehension is nothing but What did you understand by reading the given Passage. To excel in reading comprehension, Start with an article in editorial of The Hindu. After reading the article write what did you understand from that article in your own words. Initially one can write only few lines. Do not bother about this gradually you will be able to write more. What will you get by doing this???? This increases your reading ability. Also you learn how to hold the important points in the passage. Also one can get the sense of the article so that it will be helpful in answering questions like “What is the authors view”, “suggest a name for the passage”. Major mistake in grammar committed by the aspirants is just by remembering the rules one cannot score well in this section. Pick a single book for grammar rules. Do not combine one book with other. Read, Reiterate, Revise follow this rule for grammar. Don’t be in a mood that once after completing all the rules I will practice the questions. Practice every topic’s previous year questions, once you complete every topic. Don’t see this in the examination point of view only. The easiest way to remember the meaning and new words which you learn is to use in your day-to-day life. I suggest rather than reading whole newspaper underlining the words and copying them into another book, writing the meaning and then learning simply refer good blogs like ours which provides daily vocab. Here also use the formula Read, Reiterate and Revise. 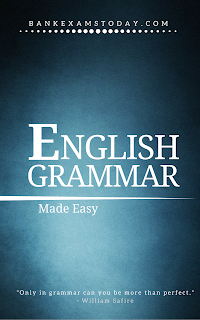 Days has gone where vocab is asked in the Reading comprehension that to related to the content in the passage, In some exams directly synonyms and antonyms were asked. So be focused regarding Vocab. For English choose book according to your comfort. If you are familiar with a particular go with that one. Do not change the book just by listening to others but use other books for practice questions. 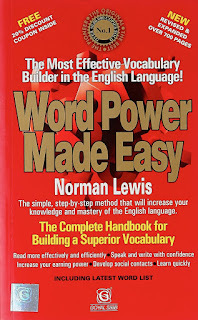 This is the book very useful to build vocabulary. One can learn vocab through root words with the help of this book. Always learning Vocab with root words helps us to figure out the meaning even if we does not come across the word initially. This book is the most suggested book for English. 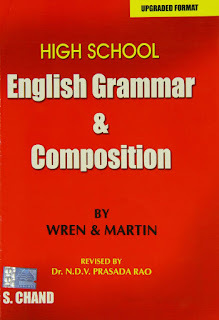 If one is familiar with this book from school days then no need to find any other sources for Grammar. But if you are a beginner then be patient enough to get acquainted with the book’s format. Objective General English: Author:- S P Bhakshi Publication: S Chand. This is one of the best books for SSC. Even it is useful for banking exams for clear understanding of the Grammar Concepts. It is one of the few best books available for competitive. Also look into the previous year question papers. Use them for practice and testing purposes.